MACON, Ill. – The opening session of Test N Tune practice at Macon Speedway is still scheduled from noon to 4 p.m. Sunday, but Macon Speedway personnel will keep an eye on the weather and make a final decision Saturday whether to cancel the practice session. Cold temperatures are forecast for Sunday. The speedway is scheduled for another Test N Tune session on March 30 from noon to 4 p.m.
Grandstand general admission for Test N Tune is free and concession stand will be open. Pit passes are $20 for adults and $10 for children 11 and under. Please check the Macon Speedway website (www.maconracing.com), Facebook (www.facebook.com/maconracing) and Twitter (@maconspeedway) for updates on track conditions and practice sessions. The Macon Speedway Car Show is March 29 from 11 a.m. to 4 p.m. at the Chevrolet Hall of Fame Museum on U.S. 36 east in Decatur. Drivers will show off their machines prepared for the coming season, and door prizes will keep things even more interesting. 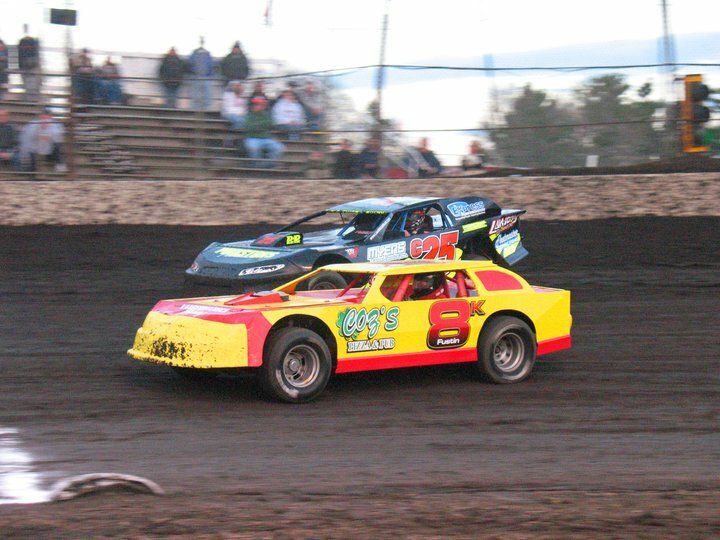 Macon Speedway opens the season with the seventh annual Spring Fling on April 5. The UMP Champions Night and POWRi midgets and micros highlight the racing in the season opener. Champions from 13 area tracks have been invited to compete in UMP modifieds, UMP street stocks and UMP hornets for bragging rights. The popular POWRi midgets and outlaw micros also make the first of their six appearances at the speedway this season. Macon Speedway is located nine miles south of Decatur on U.S. 51, then 0.6 miles west on Andrews Street, then south to 205 N. Wiles. Macon Speedway hosts racing every Saturday night, plus many weeknight specials.